Targeted, measurable, and interactive marketing of products or services using digital technologies to reach and convert leads into customers.The key objective is to promote brands, build preference and increase sales through various digital marketing techniques. Take advantage of the full potential of social media channels like Facebook, Twitter and LinkedIn. We leverage the power of social media channels to create more and better engagement with new and existing clients, delivering a whole new level of personalized customer services that will generate more sales and brand loyalty. Optimizing your website to make it more search engine friendly to gain more targeted visitors for your business. 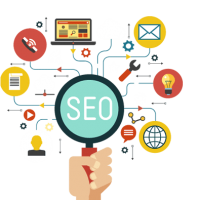 Search engine optimization is a powerful medium for any business because of its capability of providing your site the online visibility. It allows website to be found in the most popular search engines like Google, Yahoo and Bing when a visitor search for something online. 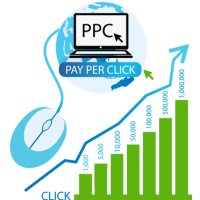 PPC allows you to tap into the massive advertising channels provided by the search engines (Google Adwords by Google, Yahoo Search Marketing by Yahoo!, and Bing adCenter by Bing). PPC allows you to be seen across these search engines when a user search or type a keyword. Using PPC you can target almost ALL the keywords that is related to your business and you will only pay when someone clicked on your ad! 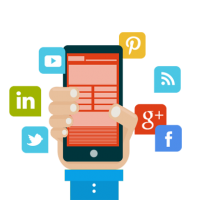 Looking for a Digital Marketing Consultant?